Are you looking for an affordable plumbing, heating, and air conditioning company in Berkeley Heights, NJ? Rite Rate offers the best plumbing, air conditioning, and heating repair in Berkeley Heights, NJ. You’ll find all of our installations, repairs, replacements, and maintenance services affordable. We have a team of HVAC technicians and plumbers that are fully licensed and bonded to service your heating, air conditioning, and plumbing. We pride ourselves on being the most reliable heating company in Berkeley Heights, NJ. Rite Rate is available 24hrs a day 365 days a week for any emergency heating repair you need! We can fix any commercial and residential heater no matter if it’s a boiler, furnace, radiator, thermostat, or GeoThermal heater. We do installations of new heating systems in both commercial and residential properties in North NJ. Apart from that, we do replacements of any parts of your heater or we can replace the boiler and furnace if it’s beyond repair. Even if you need routine maintenance, Rite Rate is the heating company for you! Rite Rate is rated the expert air conditioning company in Berkeley Heights, NJ. We specialize in all residential and commercial air conditioners so you can have peace of mind. At Rite Rate, we’re happy to service all makes and models and a variety of air conditioners such as central air conditioners, packaged air conditioning, forced air, heat pumps, and much more. 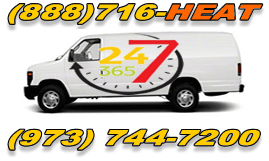 If there comes a time that your air conditioner breaks down, stops working, or makes strange noises, then call us for 24hr air conditioning repair! Rite Rate is dedicated to bringing you affordable and quality plumbing repair, replacement, and installation to commercial and residential customers. All drainage systems such as toilets, bathtubs, showers, sinks, drains, and the main sewer line is some of the areas we service. We even have a video camera inspection of pipes that are not easily accessible. Our team is available 24 hours a day to attend to your kitchen and bathroom plumbing, clogged pipes, drains, and any other emergency plumbing repair you may need.